Smell Your Freedom With Our Custom Air Fresheners Designed Specifically For the pro-2A and Veteran Communities. Tactical Air USA, LLC was founded on the principles which make this nation great. 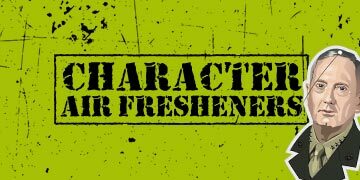 Our mission is to provide premium products, deliver the highest quality customer experience, and serve as the premier 2A Air Freshener Company to the true American conservative customer; while honoring those who protect, defend, and support our communities and our country. We felt that the air freshener market was missing something for those of us that prefer not to have little “trees & flowers” hanging from our rear view mirror, because that just doesn’t scream Merica’! We know that like us, there are many of you out there that love your guns, and love your freedom. 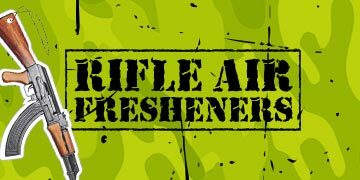 We wanted to create a product that allows you to keep your vehicle smelling fresh, while also showing your support for the 2A culture! 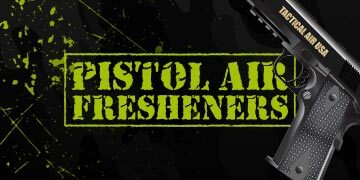 Our Pro-2A Air Fresheners are made right here in the USA, with custom designs that we have created to appeal to any true firearms enthusiast. Whether your vehicles needs to stay smelling fresh, or your rifle bag is in need of some smell good love, we’ve got all of our freedom-loving Americans covered! We are a small family owned business and we are based in Phoenix, AZ. We are constantly working to expand our selection and value the feedback from our fellow pro-2A community. What we are not is a large corporation that tries to appeal to the masses. 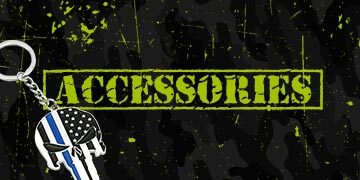 We are a small business that wants to provide products that other true 2A enthusiasts can be proud of. We are the result of a culture that still believes in true American values.